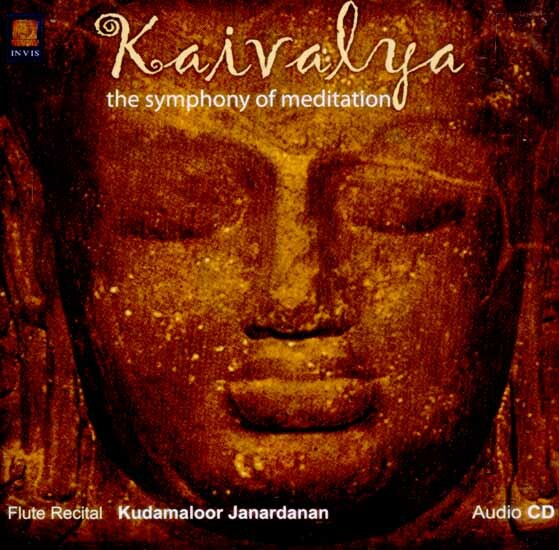 The Audio CD titled Kaivalya has flute (Odakkuzhal) rendition by Kudamaloor Janardanan. Kaivalya or the Symphony of Meditation charms the air through the swaras (musical notes) taking it to the innermost core of the soul and bringing tranquility to it. Kudamaloor Janardanan is a self-taught flautist, who has a unique style of playing. He has given many concerts and participated in many musical festivals. He is also an expert in Violin and in vocal music. Though a graduate in Violin from Madras University, Flute is his utmost passion.